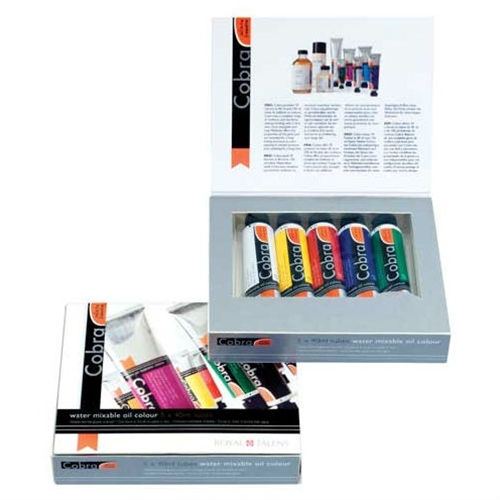 Ideal for those new to the medium, this set features oil color that produces wonderful and long lasting results without having to use solvents such as turpentine or white spirits. It has a high degree of pigmentation and provides typical oil paint results, such as sharp brush strokes and wonderfully deep colors. It can be easily mixed with water. The color and textures remain unchanged after paint dries. The set includes 40ml tubes of titanium white, permanent yellow light, pyrrole red deep, cobalt blue ultramarine and permanent green deep.